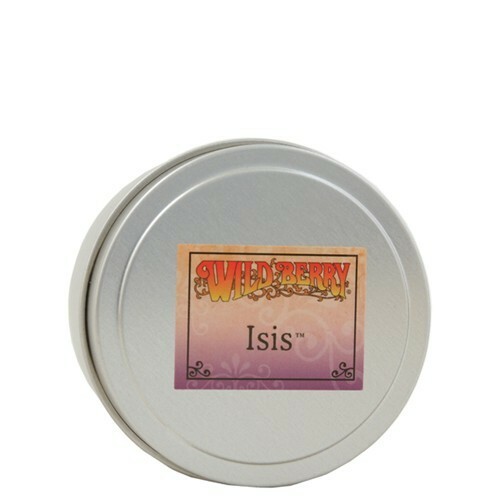 Wild Berry Candle In Tin (height inc. lid 5cm, diam. 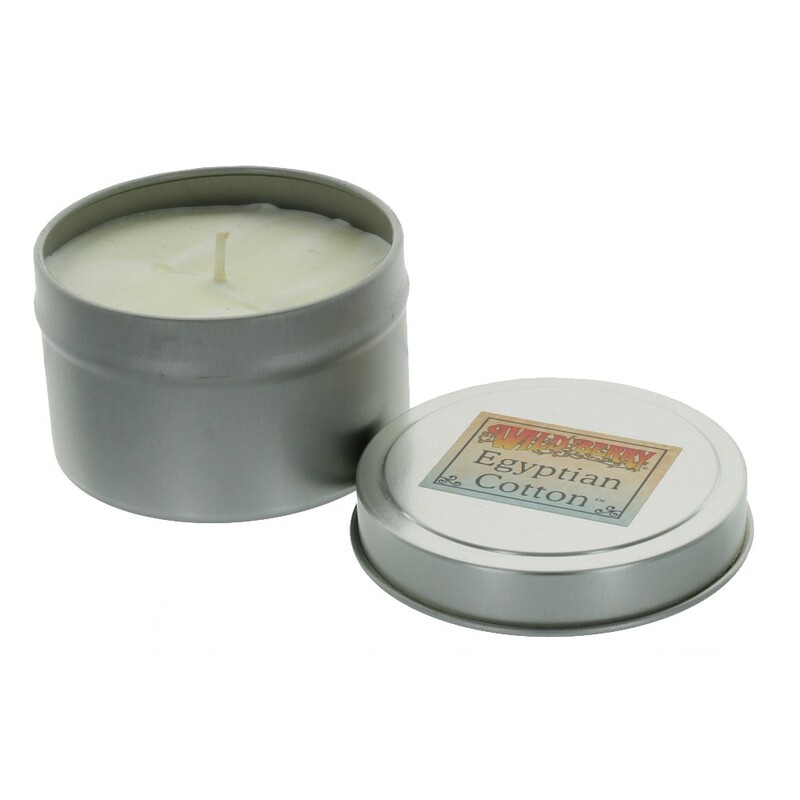 7cm, 4oz). Amazing quality paraffin free candle made from 100% soy wax in travel tin. 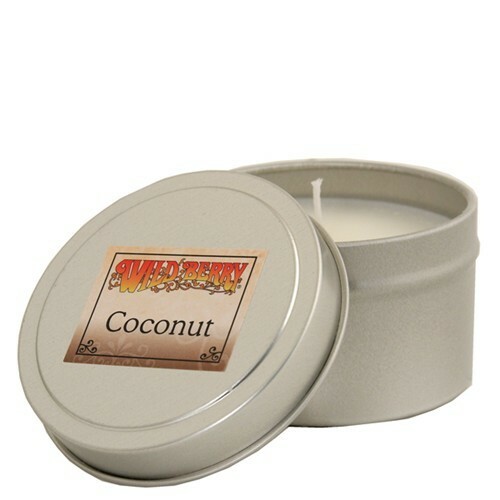 Burn time of 16-30 hours. 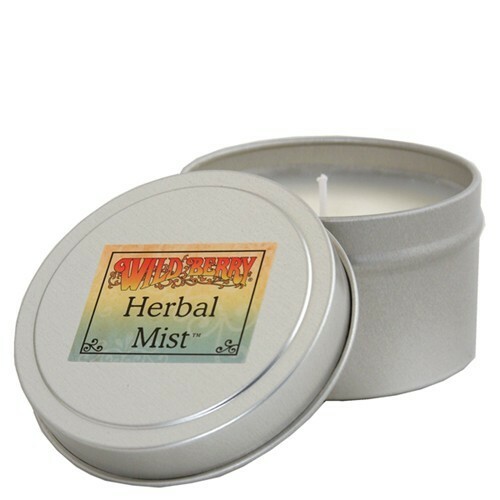 Made in the USA by Wild Berry, reknowned for their wonderful fragrances of incense, now available in candle form. Amazing quality Wild Berry candle in travel tin made from 100% soy wax. 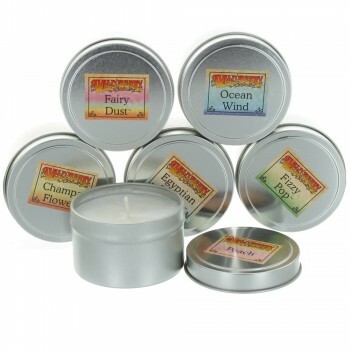 Available in 12 gorgeous fragrances. 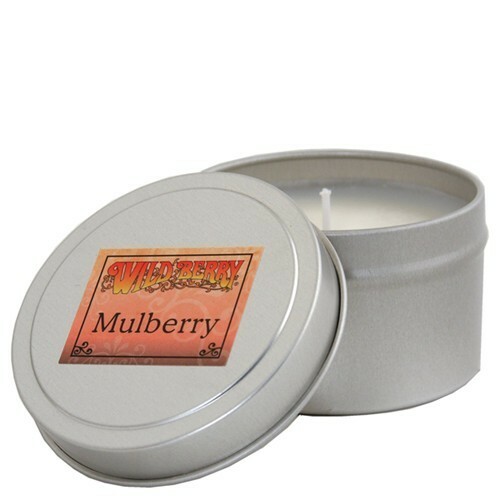 Wild Berry Candles In Tin (height inc. lid 5cm, diam. 7cm, 4oz). Amazing quality paraffin free candles made from 100% soy wax in travel tin with a burn time of 16-30 hours. 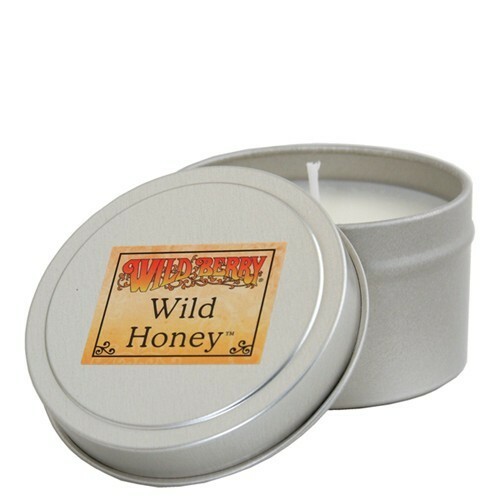 Made in the USA by Wild Berry, reknowned for their wonderful fragrances of incense, now available in candle form. Choose from; Champa Flower, Coconut, Egyptian Cotton, Fairy Dust, Fizzy Pop, Herbal Mist, Honeysuckle, Isis, Mulberry, Ocean Wind, Peach and Wild Honey.